To sum up, I’m glad to see that these new technologies are offering its knowledge in the makeup field. In fact, I have already tried many synthetic brushes who are very good to work with, but these one from Du Pont are just an incredible discovery! Why? 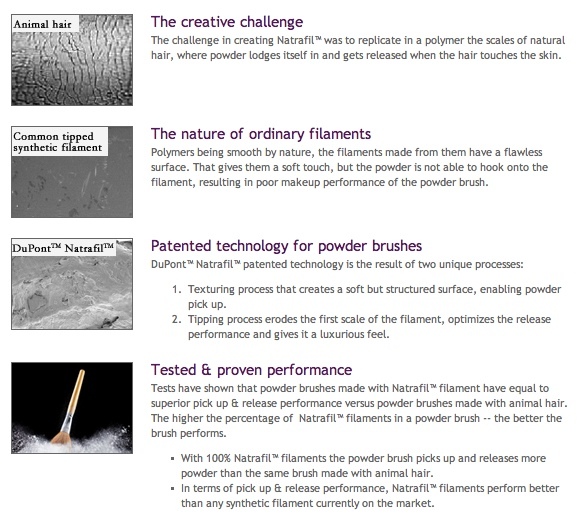 DuPont does not make brushes, but they develop their special patented synthetic filament which is named Natrafil. 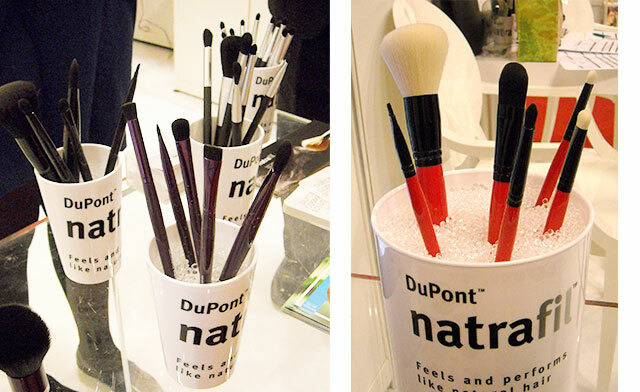 Natrafil is a great alternative to natural animal hair in cosmetic brushes. There are still many skeptics about using synthetic brushes, cause they are used to work with traditional natural hair brushes. I used to work with them too, but since I discovered that I can do my job as good or in some cases even better with synthetic ones, I am getting more and more favorable to them. Moreover, I think that there is no need to kill the animals for brushes, if we have so much advanced technologies working for us. Why not take advantage of it? This is just a brief presentation of these exciting concept about which I am going to write even more. I will surely keep you updated with a second part where I will make a review of brushes with Natrafil fibers that they have given me to test them on the event mentioned above. What do you think about synthetic makeup brushes? Have you already tried them? Are you satisfied with them? I’d be glad to hear from you about this topic. 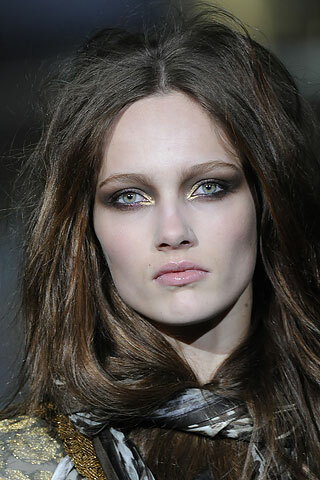 Welcome to my green make-up and beauty diary! I’ll keep you informed about nature and human friendly organic cosmetics from make-up to skincare. You will also discover my philosophy of beauty that lies inside us. I’ll show you my tips&tricks as a make-up artist and much more.